Warriors skipper Isireli Ledua was honoured to be named in the extended squad after working hard since the start of the 2015 season. “Yes. I’ve been trying to make the Flying Fijians squad since the start of the year,”Ledua said. “It’s been a really great experience for me. Beating Uruguay twice and Argentina Pampas has really boosted the team as a whole and been a big help for those of us named in the extended squad. Warrior and RC Manubhai Suva wing John Stewart echoed similar sentiments, saying he had gained a lot of experience on tour and looked forward to competing with the international players. “The Uruguay Tour and the Pacific Rugby Challenge were both a great step up and being named in the extended squad for the PNC and World Cup is another step up for me and I’m very grateful for. 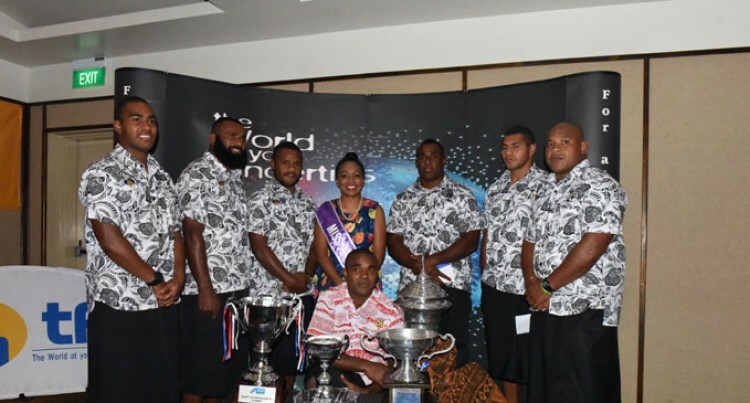 Meanwhile, Telecom Fiji Limited hosted members of the Warriors team and the Telecom Fijiana team and respective stakeholders to a celebratory cocktail at the Holiday Inn Suva last night.